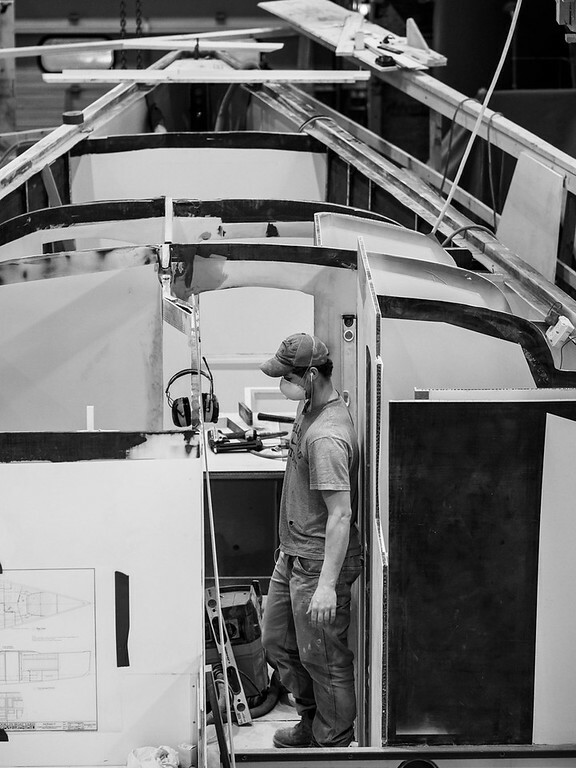 Two 50+ foot wooden-hull sailboats under construction at Brooklin Boat Yard. This is an extreme wide view (15mm-e) causing perspective distortion, both boats are similar in size but different designs. I like these a lot - maybe because in another life I would have worked in a boat yard in Maine. I used to read every issue of Wooden Boat, and once I discovered the miracle created by joining wood and epoxy, I have been totally hooked. Thank you. 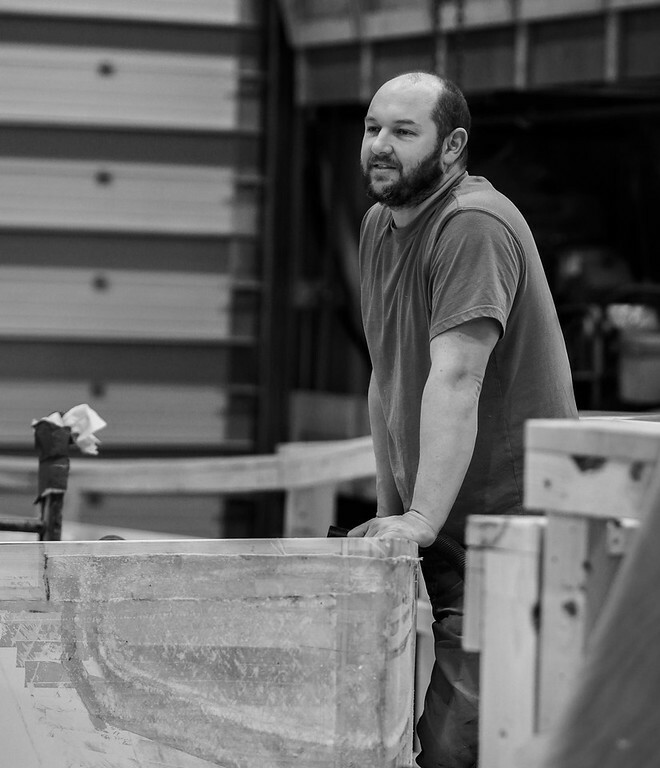 Wooden Boat Magazine and boat building school are our neighbors. 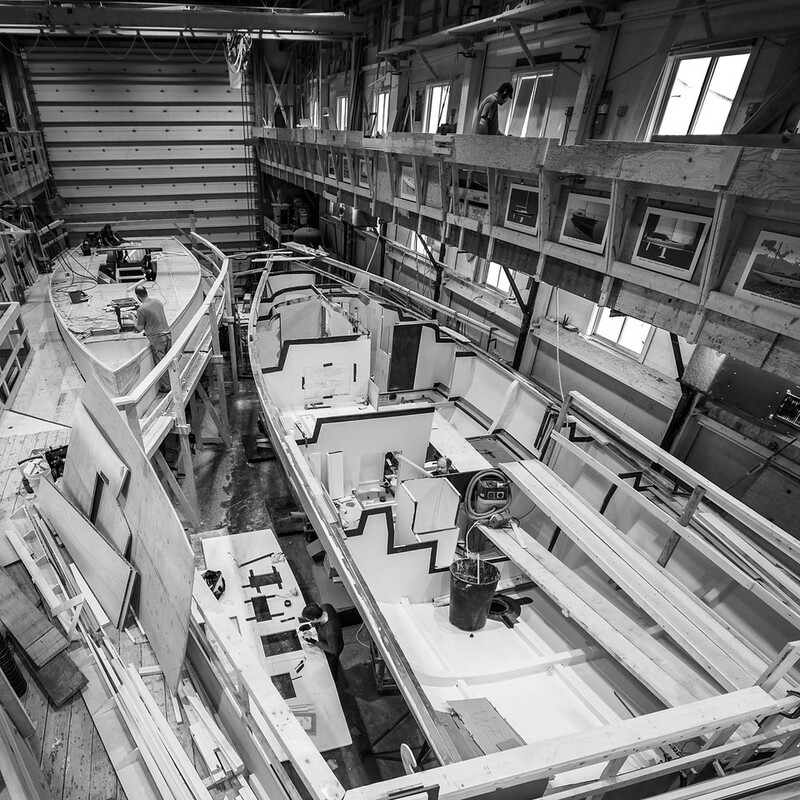 The Brooklin Boat Yard is the largest wooden boat builder in the area and there are 5 or 6 other wooden boat builders in the town. It sounds like you might like it here. Super cool captures. I like the photojournalistic style, and the B&W makes it pop! Nice images. I especially like the last two that show the workers. The second one shows a worker but he is farther away and the other two are more like portraiture in a unique setting. I know nothing about boats but would certainly enjoy seeing the woodworking in progress. A bit of a drive from Boothbay but maybe someday . 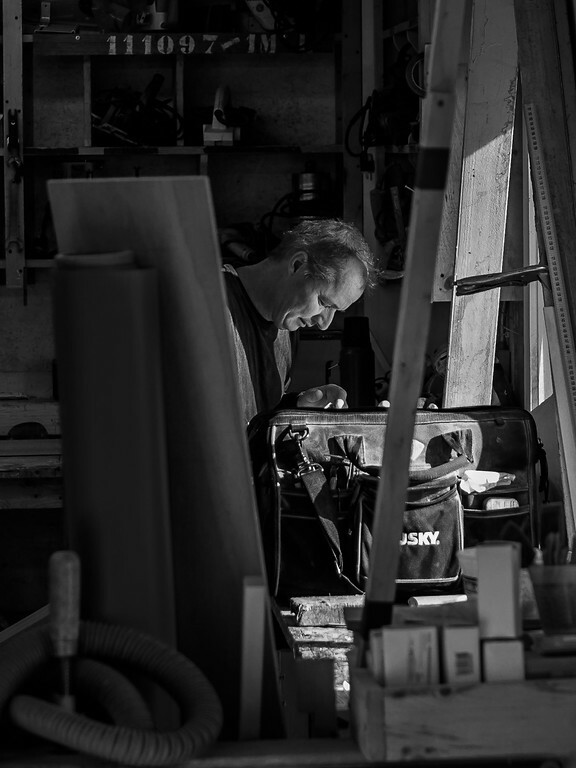 . .
Take a class in building wooden boats at the Wooden Boat School here in Brooklin and you can get all the pictures you want. You can stay in their dorm, their campground, or come in your own boat and stay at a mooring.